Hi there! Well, we already knew that there has been liquid water on the surface of Mars, a long time ago. 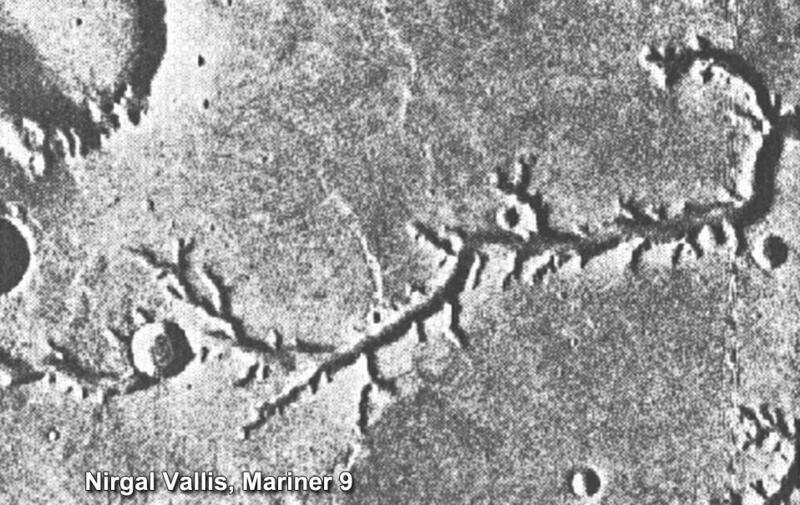 Indeed, the space mission Mariner 9 imaged valley networks in 1972. 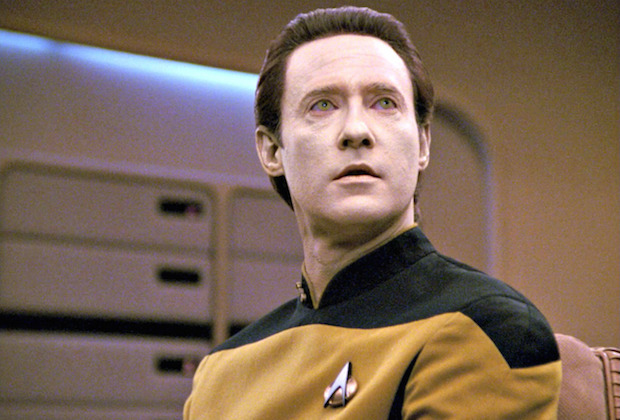 Since then, several missions refined the data. The study I present today, Estimate of the water flow duration in large Martian fluvial systems, by Vincenzo Orofino, Giulia Alemanno, Gaetano Di Achille and Francesco Mancarella, uses the most recent observations to estimate the length and depth of former Martian rivers, and their duration of formation and erosion. This study has recently been accepted for publication in Planetary and Space Science. The current atmosphere of Mars is pretty thin, its pressure being on average 0.6% the one of the Earth. Such a small atmospheric pressure prevents the existence of liquid water at the surface. Water could survive only as ice, otherwise would be just vaporized. And ice water has been found, particularly in the polar caps. But if the atmosphere were thicker in the past, then liquid water would have survived… and we know it did. We owe to Mariner 9 a map of 85% of the Martian surface, which revealed in particular river beds, deltas, and lake basins. The study we discuss today focused on valley networks, which are particularly present in the southern highlands of Mars. These valleys are typically less than 5 km wide, but may extend over thousands of kms, and they reveal former rivers. The history of these rivers is inseparable from the geological history of Mars. We distinguish 3 mains eras in the geological history of Mars: the Noachian, the Hesperian, and the Amazonian. The Noachian probably extended between 4.6 and 3.7 Gyr ago, i.e. it started when Mars formed. At that time, the atmosphere of Mars was much thicker that it is now, it generated greenhouse effect, and liquid water was stable on the surface. It even probably rained on Mars! During that era, the bombardment in the inner Solar System, including on Mars, was very intense, but anyway less intense than the Late Heavy Bombardment, which happened at the end of the Noachian. Many are tempted to consider it to be the cause of the change of era. Anyway, many terrains of the south hemisphere of Mars, and craters, date from the Noachian. And almost all of the river beds as well. After the Noachian came the Hesperian, probably between 3.7 and 3.2 Gyr ago. It was a period of intense volcanic activity, during which the bombardment declined, and the atmosphere thinned. Then came the Amazonian, which is still on-going, and which is a much quieter era. The volcanic activity has declined as well. So, almost all of the valley networks date from the Noachian. Let us now see how they formed. We owe to the space missions accurate maps of Mars. From these maps, the authors have studied a limited data set of 63 valley networks, 13 of them with a interior channel, the 50 remaining ones without. The interior channel is the former river bed, while the valley represents the area, which has been sculpted by the river. The absence of interior channel probably means that either they are too narrow to be detectable, or have been eroded. width and depth of the interior channel. To get this information, they combined topographic data from the instrument MOLA (for Mars Orbiter Laser Altimeter) on board Mars Global Surveyor (1997-2006) with THEMIS (THermal Emission Imaging System, on board Mars Odyssey, still operating). MOLA permits 3-D imagery, with a vertical resolution of 30 cm/pixel (in other words, the accuracy of the altitude) and a horizontal one of 460 m/pixel, while the THEMIS data used by the authors are 2D-data, with a resolution of 100 m /pixel. When the authors judged necessary, they supplemented these data with CTX data (ConTeXt camera, on board Mars Reconnaissance Orbiter, still ongoing), with a resolution up to 6 m/pixel. These information are very useful to estimate the formation time and the erosion rate of the valley network. They estimated these quantities from the volume of sediments, which should have been transported to create the valley networks. The idea is, while water is flowing, assisted by the Martian surface gravity (fortunately, this number is very well known, and is roughly one-third of the gravity on Earth) and by the slope, it transports material. The authors assumed in their calculations that this material was only sediments, i.e. they neglected rock transport, and they did the maths. Several competing models exist for sediment transport. This is actually difficult to constrain, given the uncertainties on the sediments themselves. Such phenomena also exist on Earth, but the numbers are very different for instance if you are in Iceland or in the Atacama Desert. It also depends on the intermittence: is the water flow constant? You can say yes to make your life easier, but is it true? On Earth, you have seasonal variations… why not on Mars? A constant water flow means an intermittence of 100%, while no water means 0%. And keep also in mind that the water flow depends on the atmospheric conditions: is the air wet or pretty arid? We can answer this question for the present atmospheric conditions, but how was it in the Noachian? And this is one result of the present study: there must have been some evaporation in the Noachian, which means that it was not cold and icy. The authors show that such a Noachian would be inconsistent with the valley networks, as we presently observe them. However, they get large uncertainties on the formation timescales of the valley networks, i.e. between 500 years and almost twice the age of the Solar System. They have anyway median numbers, i.e. 30 Myr with an intermittence of 0.1%. And from the data, they estimate that the intermittence should be in the range 1%-5%, which corresponds humid (5%) and semiarid/arid environments. This is how they can rule out the cold and icy Noachian. and the ResearchGate profile of Francesca Mancarella. Hi there! Of course, you know Venus. This planet is sometimes nicknamed the twin sister of the Earth, but beside its size, it does not look like the Earth. Venus is closer to the Sun than us, and it has a very thick atmosphere, which is essentially composed of carbon dioxide. This atmosphere has a pressure of 93 bar at the surface of the planet, to be compared with 1 bar for the Earth, and the temperature reaches there 470°C. Definitely hostile. Anyway, I do not speak of the atmosphere today, but of the surface. I present Inferences on the mantle viscosity structure and the post-overturn evolutionary state of Venus, by T. Rolf and collaborators, which has recently been published in Icarus. The outer part of the mantle should be fluid, which means that a fluid layer separates the core from the mantle. We know very few of the thicknesses and the compositions of these different layers. Actually, these could only be guessed from the measurements we dispose on, which are the gravity and the topography (see just below). Once you know the gravity field of Venus and its topography, you can elaborate interior models, which would be consistent with your data. First, gravity. When a small body, like an artificial satellite, orbits a spherical planetary body, the gravitational perturbation affecting its motion depends only on the distance between the satellite and the planet. Now, if the planet is not spherical, and has mass anomalies, then the perturbation will not only depend on the distance, but also on the direction planet-satellite. 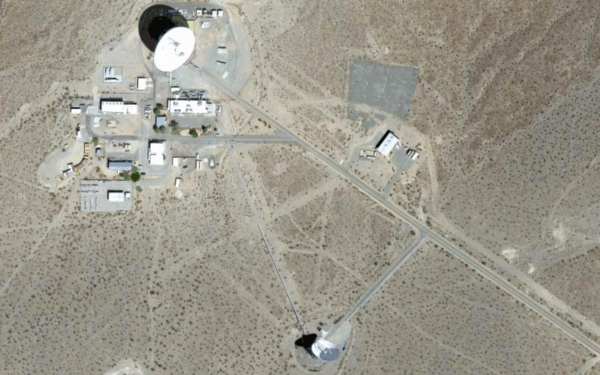 You can determine the gravity field from the orbital deviation of your spacecraft. It is convenient to write the gravity field as a sum of spherical harmonics. The first term (order 0) is a spherical one, then the order 2 (you have no order 1 if the center of your reference frame is the center of mass) represents the triaxiality of the planet, i.e. the planet seen as a triaxial ellipsoid. And the higher order terms will represent anomalies, with increasing resolutions. These resolutions are modeled as spatial periods. Such a representation has usually an efficient convergence, except for highly elongated bodies (see here). We use such a representation for the topography as well. The difference is that the result is not the gravity field in any direction, but the altitude of the surface for a given point, i.e. a latitude and a longitude. The spacecraft measure the topography with a laser, which echo gives you the distance between the spacecraft and the surface. The altitude is directly deduced from this information. The best representations we dispose on for Venus come from the American spacecraft Magellan, which orbited Venus between 1990 and 1994. These representations go to the order 180. In this study, the authors simulated possible evolutionary paths for the crust of Venus, and compared their results with the present Venus, i.e. the gravity and topography as we know them. For that, they simulated the thermochemical evolution of Venus in using a numerical code, StagYY. This is a 3D-code, which models convection in the mantle, i.e. internal motions. This code is based on finite elements, i.e. the interior of Venus is split into small elements. This splitting is made following a so-called Yin-Yang grid, which is appropriate for spherical geometries. This code includes several features like phase transition (i.e. from solid to fluid, and conversely), compositional variations, partial melting and melt migration. Moreover, it is implemented for parallel computing. In other words, these are huge calculations. The authors started with 10 simulations in which the crust was modeled as a single plate, i.e. a stagnant lid. The simulations differed by the modeling of the viscosity, and by the radiogenic heating rate. This is the heating of Venus by the decay of the radiogenic elements, which was most effective in the early Solar System. Once these 10 simulations have run, the authors kept the one, which resulted in the closest Venus to the actual one, and introduced episodic overturns in it. Venus does not present any tectonic activity. Did it have some in the past? This is a question this study tried to answer. An overturn is a sudden peak in the heat transfer from the core to the crust through the mantle, due to a too strong difference of temperature, i.e. when the mantle gets colder. Such an episodic phenomenon is triggered by a too thick crust, and results in a melting of this crust, in heating it. In other words, it regulates the thickness of the crust. And here are the results: the best stagnant-lid scenario, called S2 in the study, presents some discrepancy between the simulated present Venus and the observed one. These discrepancies are present in the topography, in the gravity field, and in the age of the surface. The surface is estimated to be between 0.3 and 1 Gyr old, while the best stagnant-lid scenario predicts that the most probable age is 0.25 Gyr… a little too young. However, episodic overturns give a surface, which is 0.6 Gyr old. Moreover, the gravity and topography are much better fit. The only remaining problem is that this scenario should result in much detections of plumes than actually detected. As the authors honestly recall, some physical phenomena were not considered, in particular the influence of the dense atmosphere, and intrusive volcanism. Anyway, this study strongly suggests that episodic overturn happened. 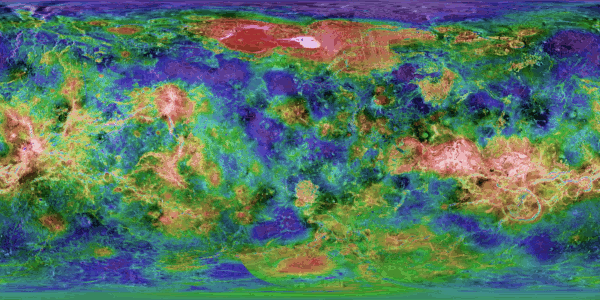 Further data will improve our understanding of Venus. Recently, the European Space Agency (ESA) has pre-selected 3 potential future space missions, including EnVision, i.e. an orbiter around Venus. The final decision is expected in 2021.
and the one of Stephanie C. Werner. Today I present you a study on the ice on Mercury. It is entitled Constraining the thickness of polar ice deposits on Mercury using the Mercury Laser Altimeter and small craters in permanently shadowed regions, by Ariel N. Deutsch, James W. Head, Nancy L. Chabot & Gregory A. Neumann, and has recently been accepted for publication in Icarus. We know that there is some ice at the surface of Mercury, and the study wonders how much. Since Mercury is close to the Sun, its surface is usually hot enough to sublimate the ice… except in permanently shadowed regions, i.e. in craters. 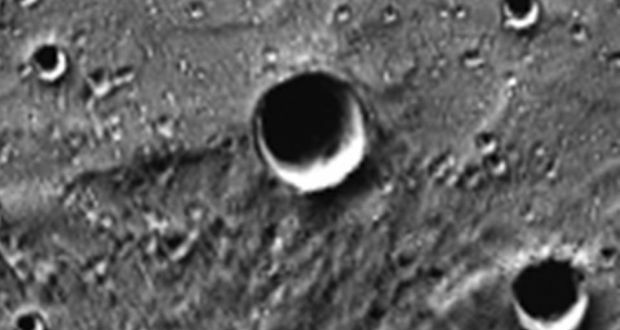 For that, the authors compared the measured depth of small craters, and compared it with the expected depth from the excavation of material by an impactor. The difference is supposed to be ice deposit. The planet Mercury is known at least since the 14th century BC. It was named after the Roman messenger god Mercurius, or Hermes in Greek, since the messengers saw it at dawn when they left, and at dusk when they arrived. The reason is that Mercury is in fact pretty close to the Sun, i.e. three times closer than our Earth. So, usually the Sun is so bright that it prevents us from observing it. Unless it is below the horizon, which happens at dawn and at dusk. Mercury makes a full revolution around the Sun in 88 days, and a full rotation in 58 days. This 2/3 ratio is a dynamical equilibrium, named 3:2 spin-orbit resonance, which has been reached after slow despinning over the ages. This despinning is indeed a loss of energy, which has been favored by the tidal (gravitational) action of the Sun. This resulting spin-orbit resonant configuration is a unique case in the Solar System. A consequence is that the Solar day on Mercury lasts 176 days, i.e. if you live on Mercury, the apparent course of the Sun in the sky lasts 176 days. 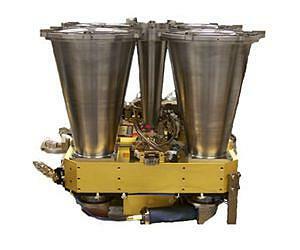 The instrument of interest today is named MLA, for Mercury Laser Altimeter. This instrument used an infrared laser (wavelength: 1,064 nanometers) to estimate the height of the surface from the reflection of the laser: you send a laser signal, you get it back some time later, and from the time you have the distance, since you know the velocity, which is the velocity of the light. And in applying this technique all along the orbit, you produce a map of the whole planet. This permits for instance to estimate the size and depth of the craters. The Mercury Laser Altimeter (MLA). How can ice survive on Mercury? How much ice is there? The first question is not really a mystery. 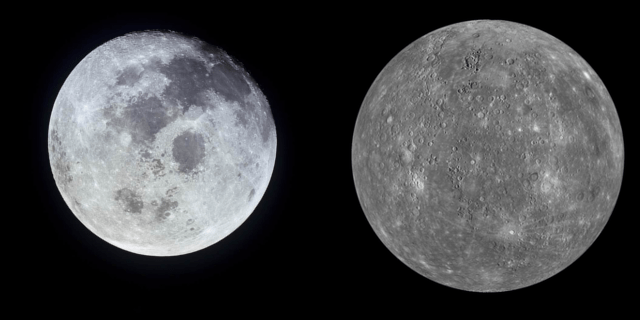 Because of its long Solar day and its absence of atmosphere (actually Mercury has a very tenuous exosphere, but we can forget it), Mercury experiences huge variations of temperature between day and night, i.e. from 100K to 700K, or -173°C to 427°C, or -279°F to 801°F (it is in fact not accurate at the 1°F level…). So, when a region is illuminated, the water ice is definitely not stable. However, there are regions, especially at the poles, which are never illuminated. There ice can survive. The last two questions are answered by this study. For not being illuminated, it helps to be close to a pole, but the topography can be helpful as well. The surface of Mercury is heavily cratered, and the bottoms of some of these craters are always hidden from the Sun. This is where the authors looked for ice. More precisely, they investigated 10 small craters within 10 degrees of the north pole. And for each of them, they estimated the expected depth from the diameter, and compared it with the measured depth. If it does not match, then you have water ice at the bottom. Easy, isn’t it? Well, it is not actually that easy. The question is: did the water ice arrive after or before the excavation of the crater? If it arrived before, then the impactor just excavated some ice, and the measurements do not tell you anything. Another challenge is to deal with the uncertainties. MLA was a wonderful instrument, with an accuracy smaller than the meter. Very well. But you are not that accurate if you want to predict the depth of a crater from its diameter. The authors used an empirical formula proposed by another study: d=(0.17±0.04)D0.96±0.11, where d is the depth, and D the diameter. The problem is the ±, i.e. that formula is not exact. This uncertainty is physically relevant, since the depth of the crater might depend on the incidence angle of the impact, which you don’t know, or on the material at the exact location of the impact… and this is a problem, since you cannot be that accurate on the theoretical depth of the crater. The authors provide a numerical example: a 400-m diameter crater has an expected depth between 21.2 and 127.7 m… So, there is a risk that the thickness of ice that you would measure would be so uncertain that actual detection would be unsure. And this is what happens in almost of all the craters. But the detection is secured by the fact that several craters are involved: the more data you have, the lower the uncertainties. 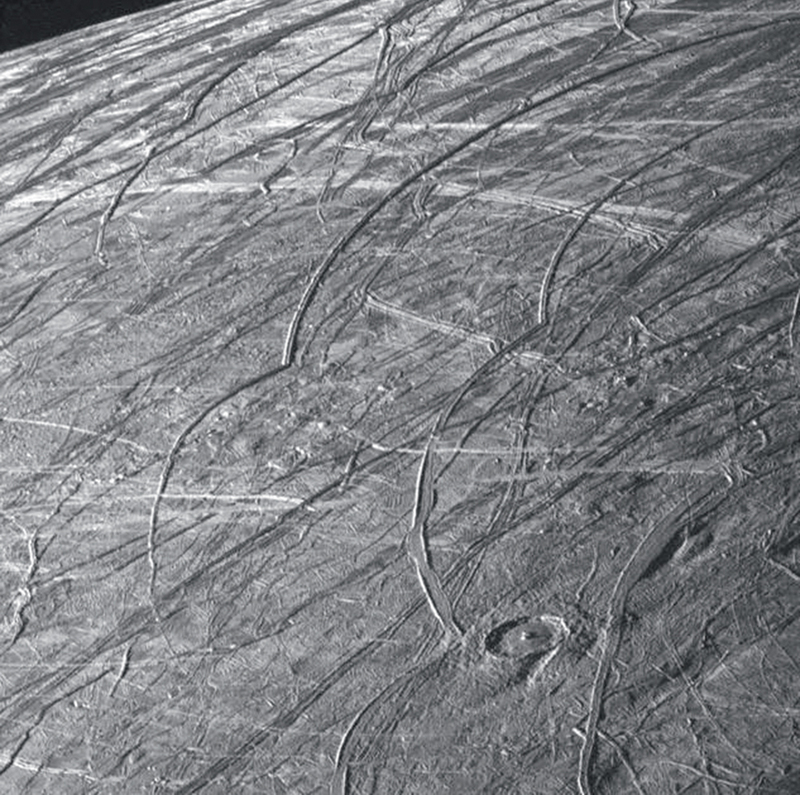 And the ice thickness derived from several craters is more accurate than the one derived from a single crater. And the result is: the ice thickness is 41+30-14m. The uncertainty is large, but the number remains positive anyway, which means that the detection is positive! Moreover, it is consistent with previous studies, from the detection of polar ice with Goldstone facilities, to similar studies on other regions of Mercury. So, there is ice on Mercury. An extrapolation of this result suggests that the total mass of water ice on the surface of Mercury is “1014-1015 kg, which is equivalent to ~100-1,000 km3 ice in volume, assuming pure water ice with no porosity” (quoted from the study). Mercury is a dense planet, i.e. too dense for such a small planet. It is widely accepted that Mercury as we see it constituted a core of a proto-Mercury, which has been stripped from its mantle of lighter elements. Anyway, Mercury is too dense for the water ice to originate from it. It should come from outside, i.e. it has been brought by impactors. The authors cite studies stating that such a quantity could have been brought by micrometeorites, by Jupiter-family comets, and even by a single impactor. Such a study does not only exploit the MESSENGER data, but is also a way to anticipate the future measurements by Bepi-Colombo. This mission will be constituted of two orbiters, one supervised by the European Space Agency (ESA), and the other one by the Japanese agency JAXA. Bepi-Colombo should be launched in October 2018 from Kourou (French Guiana), and inserted into orbit around Mercury in April 2026. Its accuracy is expected to be 10 times better than the one of MESSENGER, and the studies inferring results from MESSENGER data can be seen as predictions for Bepi-Colombo. and the one of Gregory A. Neumann. And that’s it for today! Please do not forget to comment. You can also subscribe to the RSS feed, and follow me on Twitter, Facebook, Instagram, and (NEW) Pinterest.